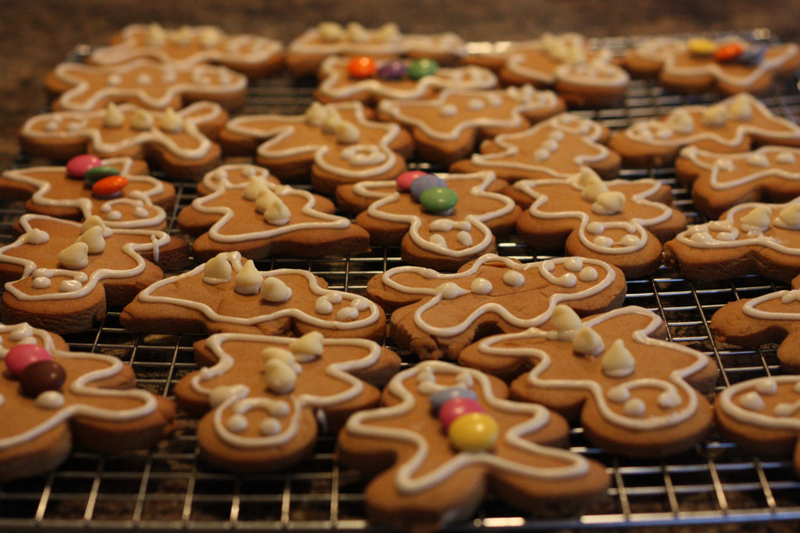 This is a really yummy gingerbread man recipe. There is only one egg to replace so you will have no problem making them without eggs. Refrigerate for about 2 hours and then take out for about a half hour before you want to roll it out. Roll it 1/4 inch thick and Bake for 8-10 minutes at 350 degrees.